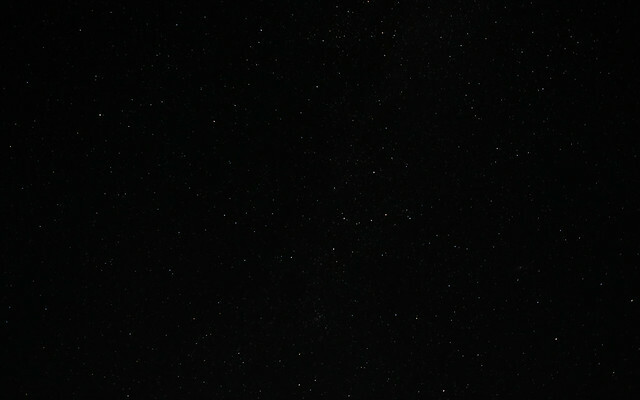 Posted by Stuart Herbert on April 26th, 2013 in Desktop Wallpaper, Travel Photography. 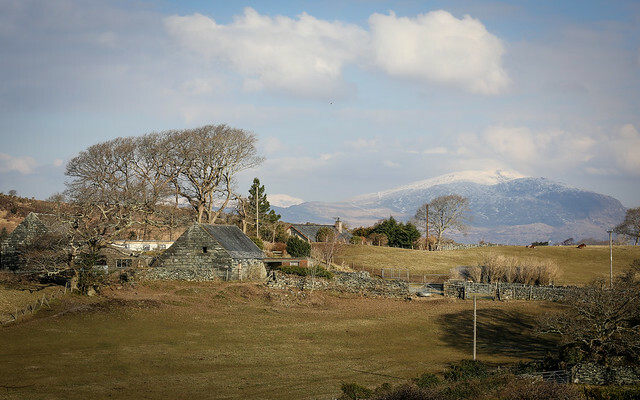 To bring the week to a close, here’s a scene from just to the north of Harlech and its railway station. Spotting this from the car, there was no way I could carry on until I’d grabbed a shot showing this barn with the Rhinog mountain range in the background. There’ll be another 25×9 shot on the blog tomorrow, and I’ll be back on Monday, probably with some more photos from Snowdonia. Have a great weekend! Posted by Stuart Herbert on April 25th, 2013 in Desktop Wallpaper, Travel Photography. 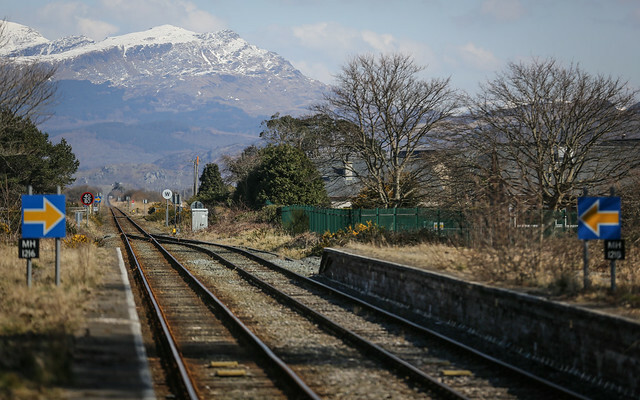 I couldn’t decide which photo I prefer – this one, or yesterday’s photo of Harlech Railway Station taken from the main road. Both have their strong points, so I’m going with this version of the shot for today’s wallpaper, and I’ll let you decide which one you like the most. Posted by Stuart Herbert on April 24th, 2013 in Desktop Wallpaper, Travel Photography. 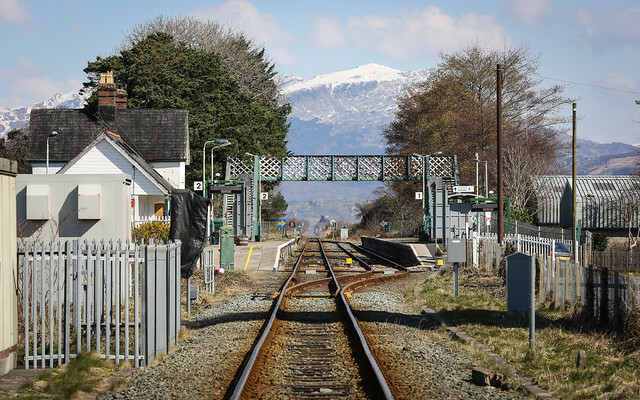 Harlech Railway Station lies on the plain below Harlech town and the world heritage castle, with the main road around Harlech and down to the beach cutting across the single track that leads up from Barmouth. It was particularly deserted on Easter Sunday, giving me plenty of time to safely grab this shot from the road. Posted by Stuart Herbert on April 23rd, 2013 in Desktop Wallpaper, Travel Photography. 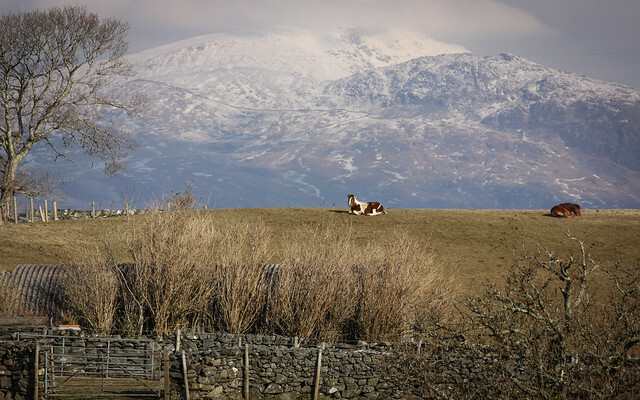 Today’s wallpaper continues the Easter in Snowdonia theme, and is another superb guest photo by the wonderfully talented Mrs H.
If you look closely at yesterday’s wallpaper photo, you can just make out this horse on the near horizon. I shot that photo full-frame, which limited how much I could pick out just the horse, but Mrs H was using a crop-sensor body, which allowed her to get much tighter on the horse than I could. Posted by Stuart Herbert on April 22nd, 2013 in Desktop Wallpaper, Travel Photography. 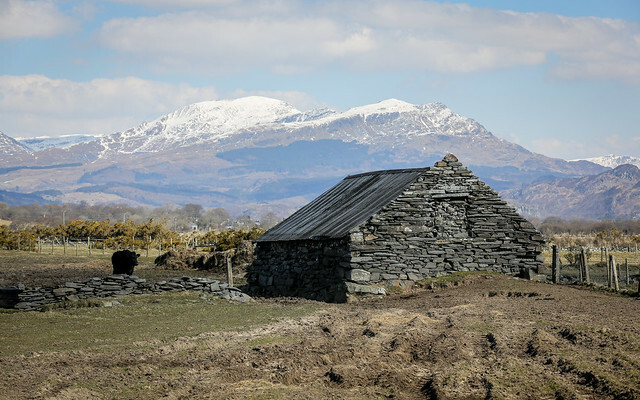 Continuing the theme of Easter in a snowy Snowdonia, here’s a lovely shot taken from the front of our hotel on Easter Sunday, just as we were checking out. If you’re thinking of booking a stay in and around Harlech, I highly recommend staying at the Maes-y-Neuadd hotel, especially if (like me) you suffer from a food allergy. It’s a wonderful place with lots of character and fantastic food, and they did a fantastic job of making sure that they served up food that I could safely eat. We’ve been there a couple of times now, and we’ll definitely be going back again at some point in the future.